Thanks to social media, customers can reach out to businesses on Twitter and Facebook when they need help. It pays for businesses to have excellent customer service on social media because you can impress your customers and show you care. It gives you a chance to help an unhappy customer and turn a customer into a promoter of your brand. 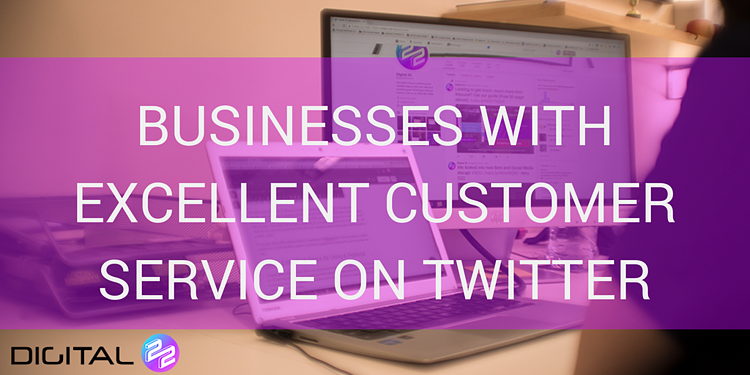 We've picked out some of the best businesses who have excellent customer service on Twitter. @nephantes Please DM us your confirmation code, and we'll make sure you receive a credit for this inconvenience. @sideshowkat Hi Kat. Keep an eye on your email. You never know what's up next. JetBlue Airways are without a doubt one of the best businesses in terms of excellent customer service on Twitter. They interact with their customers in a fun and human way. When one customer said they're inflight entertainment wasn't working, they offered to send him some credit for the inconvenience. When you're a company like Sky who offers TV packages, internet and more, you have to be fast when replying on Twitter. The Sky Help Team provides quick responses, offers help and catches up to make sure all problems have been solved. When you're a world renowned fast food restaurant like McDonald's, it's expected you're going to get the odd complaint. McDonald's responds to customers to show they're listening. It's important to be apologetic when responding to unhappy customers. Along with showing that you care about the problem, it's good to show that you will make sure it won't happen again. Along with providing assistance, the best customer service is from businesses who interact and bring some humour to the table. @ehsanyahia Sounds like something we can help with. Try changing your units of measurement in your profile on https://t.co/139QrebstJ. There are quite a few businesses on social media who say they will help with customer queries but fail to carry through. Check how Nike Support offer immediate advice to help solve customers' problems so they don't have to sit around and wait. Tesco is quick to respond to people's comments and just as quick working to solve their problems. When it comes to providing excellent customer service on Twitter you need to be immediate and provide fast solutions. Since I was told about Tesco Mobile, this just had to be included. When used correctly, humour can be fantastic at building positive customer experiences. We've all been there. Waiting around for a delivery to finally appear. Well in this case, Argos Helpers saw their customer wanted to go back to bed so they went to check when the delivery would arrive. What I like about this one is the customer did not mention @ArgosHelpers but the Argos support team must have had alerts for anyone who mentions Argos on Twitter. Now that's customer service. For Xbox, it's a MUST they have an active presence online since many of their customers play Xbox Live. Along with their fast responses, the people behind Xbox Supporters are friendly and understand the importance of solving online issues quickly. Along with being responsive to customers, Lidl has been releasing some fun and interactive offers for their customers. Most recently, they've had the "more you tweet, the more the price drops" campaign. When they're dropping prices on lobster, it's an offer you cannot miss! The terrible puns are fun too. There are many benefits to being helpful and responsive to people on social media. According to Buffer's State of Social Media survey, only 1 in 5 businesses use social media for customer support. It's clear, most businesses use social media to promote their services. Yes, it does require extra time to have someone managing your social accounts on a daily basis but providing excellent customer service on social media helps to build a positive brand image. It's another positive selling point if a customer knows they can send you a tweet or private message if they need to contact you urgently. Want over 30+ marketing tips to improve your inbound strategy? Our teams at Digital 22 sat down together and created this in-depth guide of insider marketing tips. Improve your marketing strategy, download your free copy.